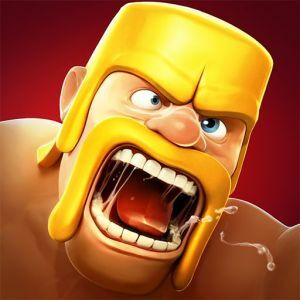 I made this list on the basis of quality of game and the fun you get in COC,a full list of games like clash of clans. What could be better than battling it out against other players on spectacular looking beaches? This is exactly what Battle Beach has to offer in one of the latest takes on the strategy genre. You can start your own adventure in Battle Beach for free on Android or iOS. If casual building simulations like Smurf’s Village are too tame for you, give Battle Dragons a try. It merges the familiar freemium set-up of creating and upgrading structures with an exciting combat system that’s all about training and deploying dragons to destroy rival villages. If you’ve played Clash of Clans, then Boom Beach is going to look pretty familiar to you. Players start out with a simple island base with the goal being to explore the surrounding areas and free the surrounding island natives from villainous servitude. You’ll free them by building and upgrading ships, namely a gunship and landing boats, that you’ll use to deploy landing parties and take out opposing headquarters. Now come and join us to wage epic battles against rival tribes and defend your own. Build, Fight and Defend! Build, Fight and Defend! You can make your tribe to be the strongest among them all! Tribal Battles is one of the best strategy games on the mobile platform. You can organize different types of troops and apply sophisticated strategies to attack your enemies no matter how devious your enemies are. Next articleHow you can activate Siri in your iPhone?